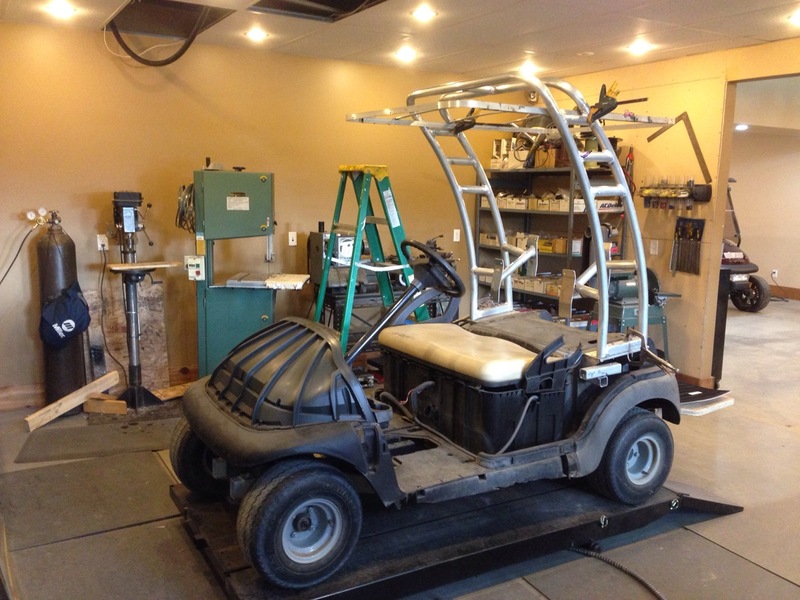 We’ve got our work cut out for us this week on the wakeboard edition custom golf cart! 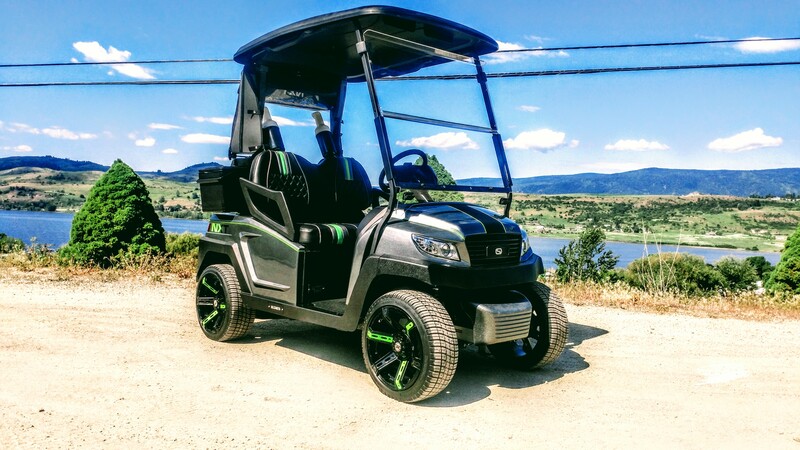 This cart will be heading to its new home on Monday so we will be rolling full steam ahead to get it done for the deadline. 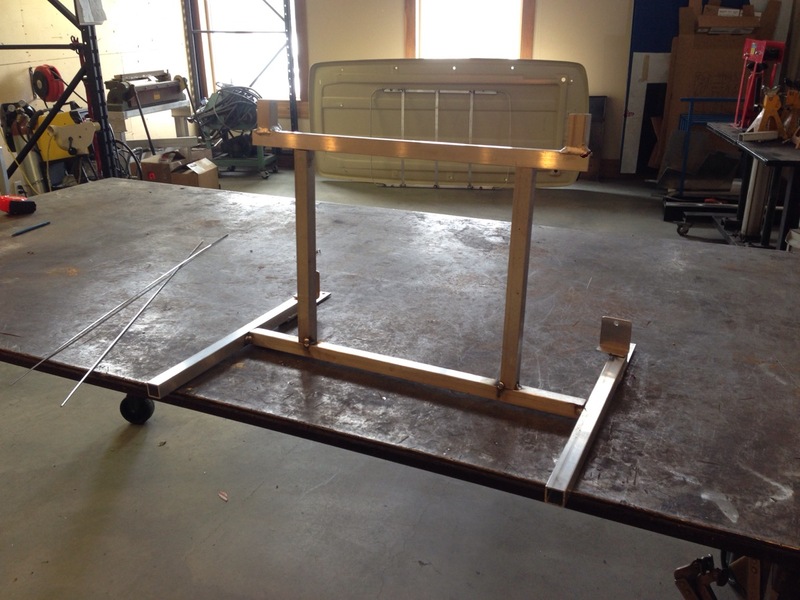 We got the cart back on the lift and it is time to mount the bimini frame. 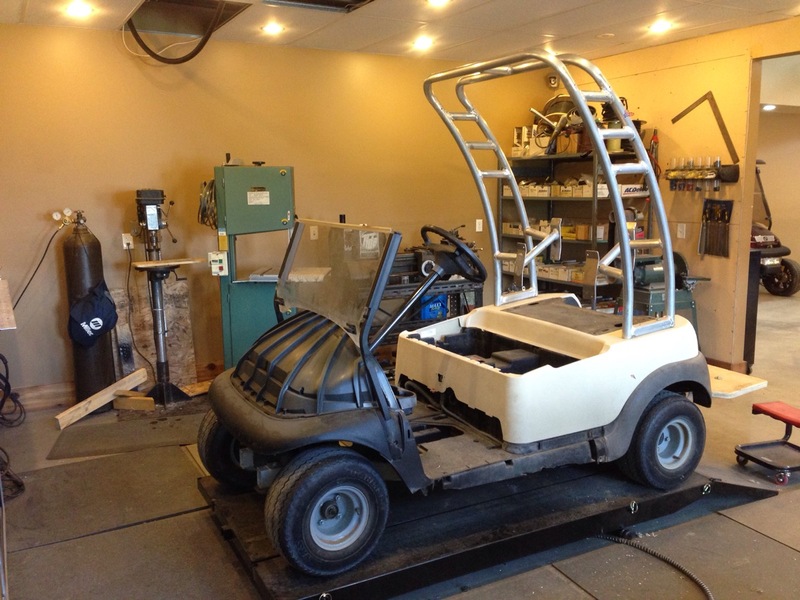 With the bimini mounted we started in on the windshield. We modified a set of existing uprights. 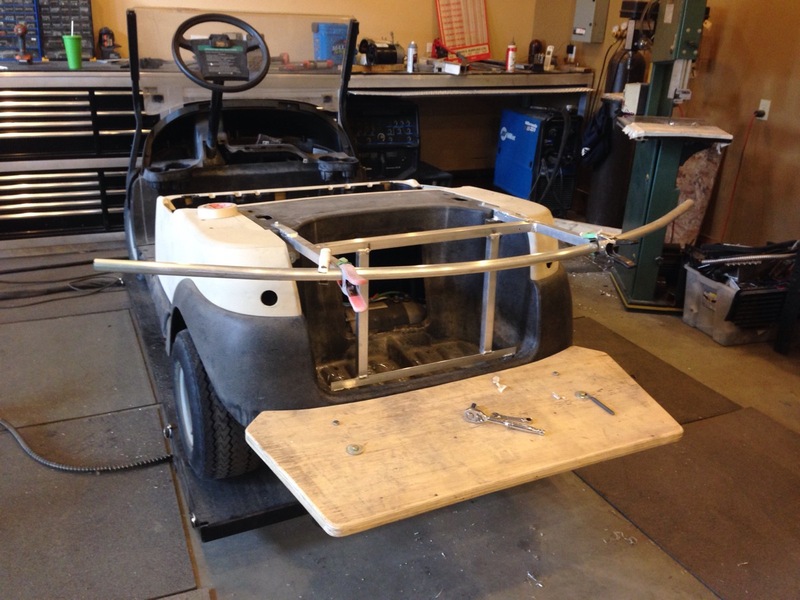 Next we removed the aluminum frame and installed the rear body, then we located the holes and drilled through the body. Then we took a scrap windshield and cut in half. 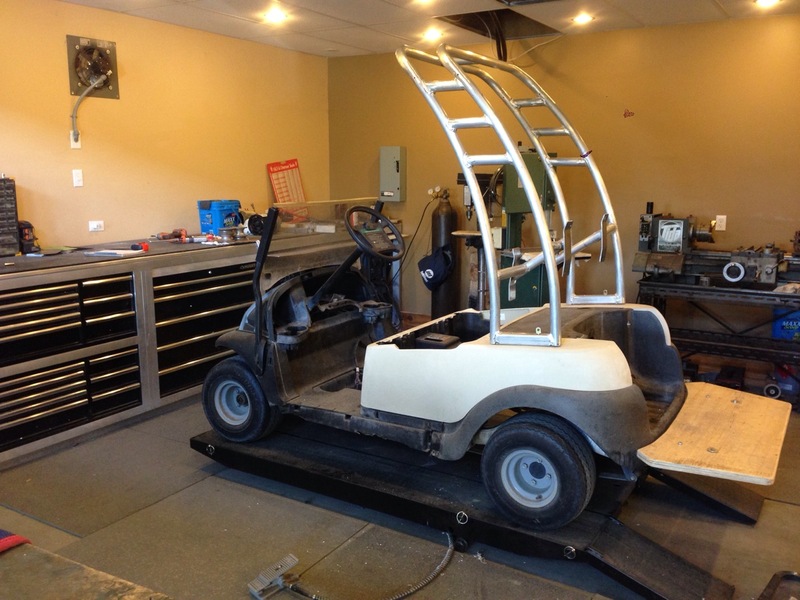 We will use this for the mock up and once we are happy we will take a brand new windshield and do the same to it. 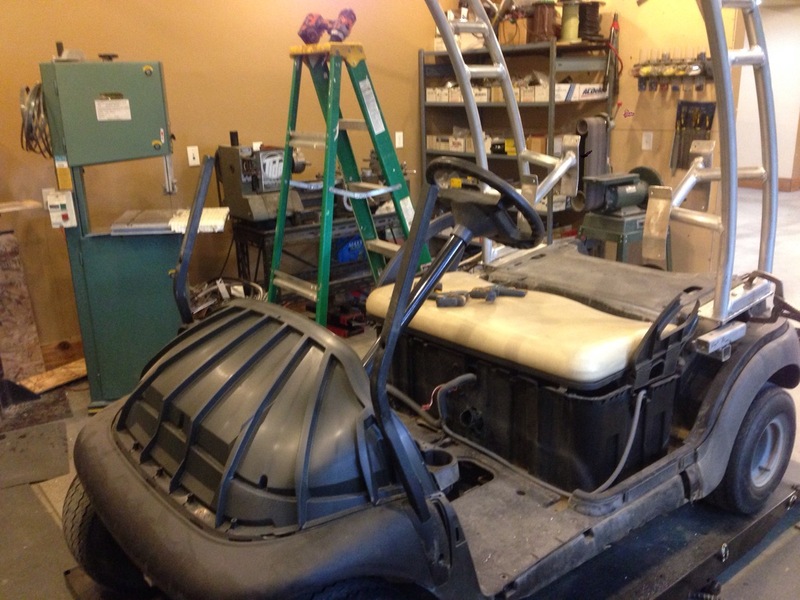 Wait until you see how we finish the windshield off! 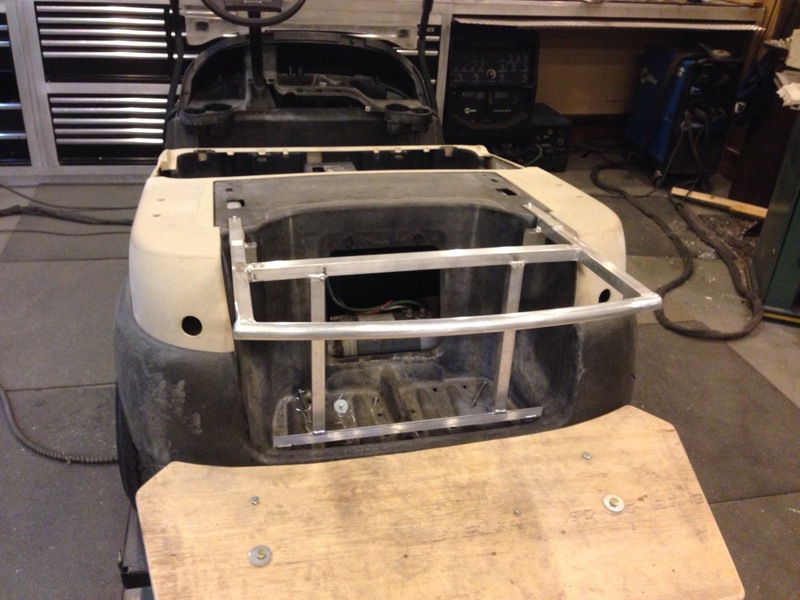 Here we have reinstalled the aluminum frame temporarily. 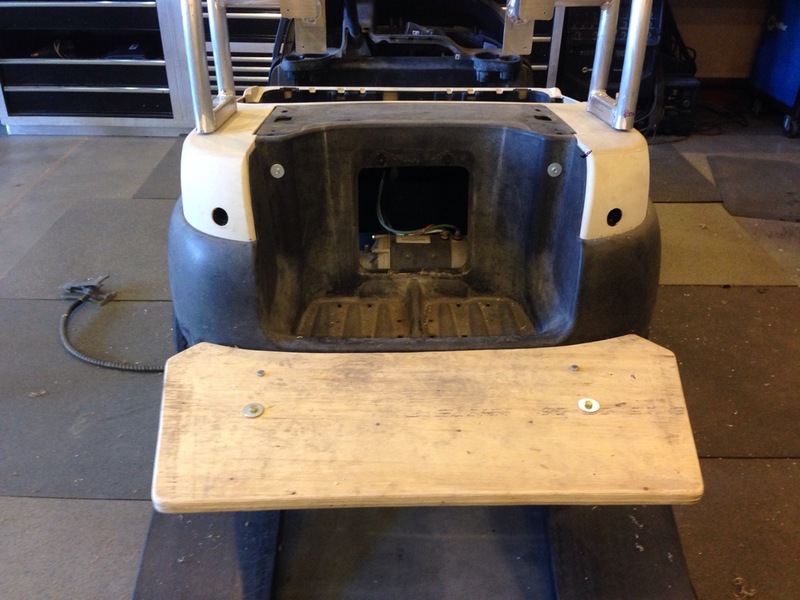 This will allow us to start work on the custom rear seat frame and cushion. 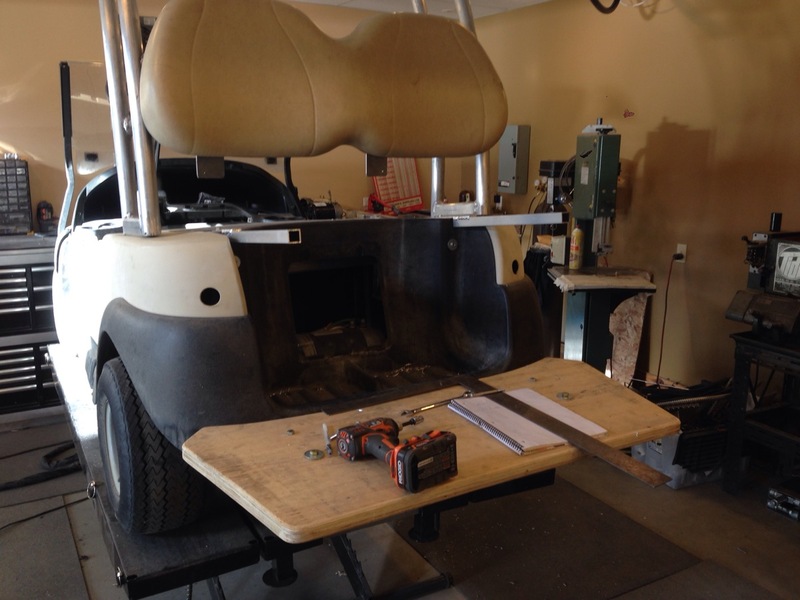 Before we get started on the rear seat we drilled out the taillight holes. 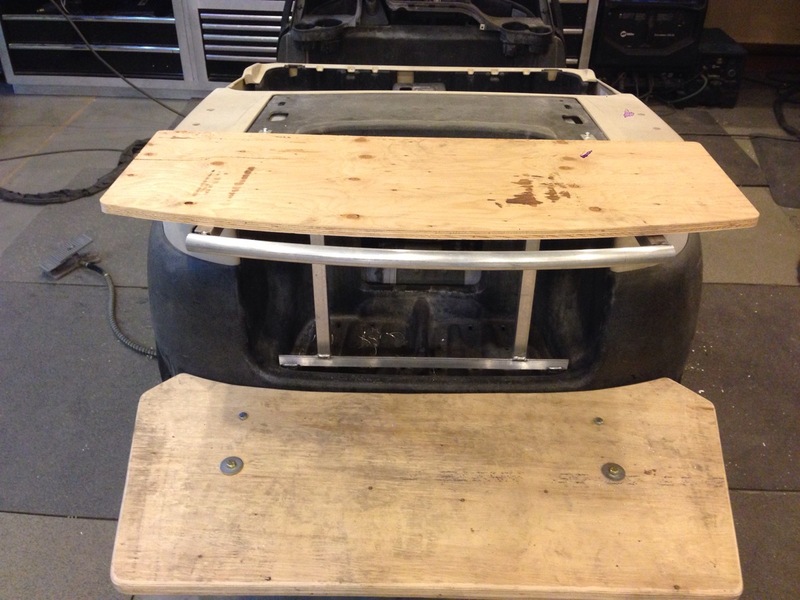 Here is the start of the rear seat kit, using some aluminum to make a tie in bracket. We then welded on a couple pieces of aluminum tubing. This is the start of the frame. 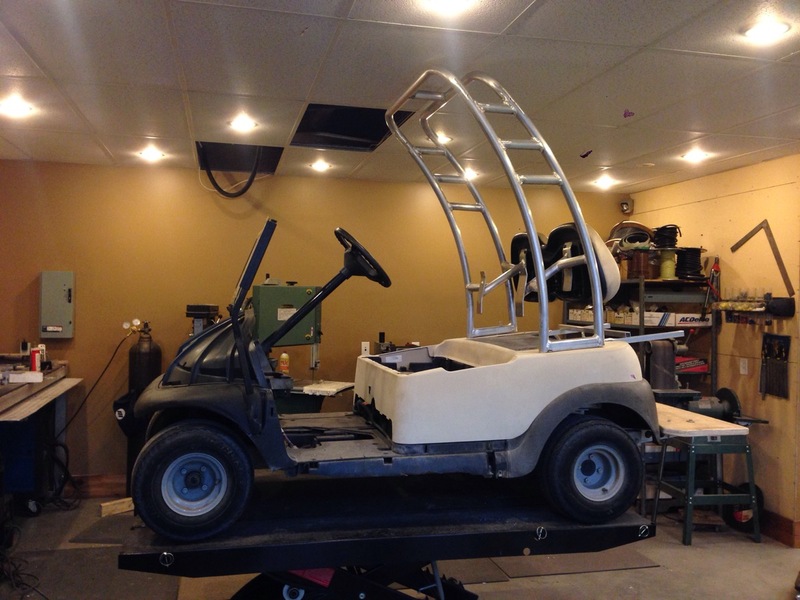 Here’s a side profile shot of the cart, the proportions are perfect and this cart is going to look amazing. With all the mock up complete, we removed the tower 🙂 for final prep and then off to powder coat! 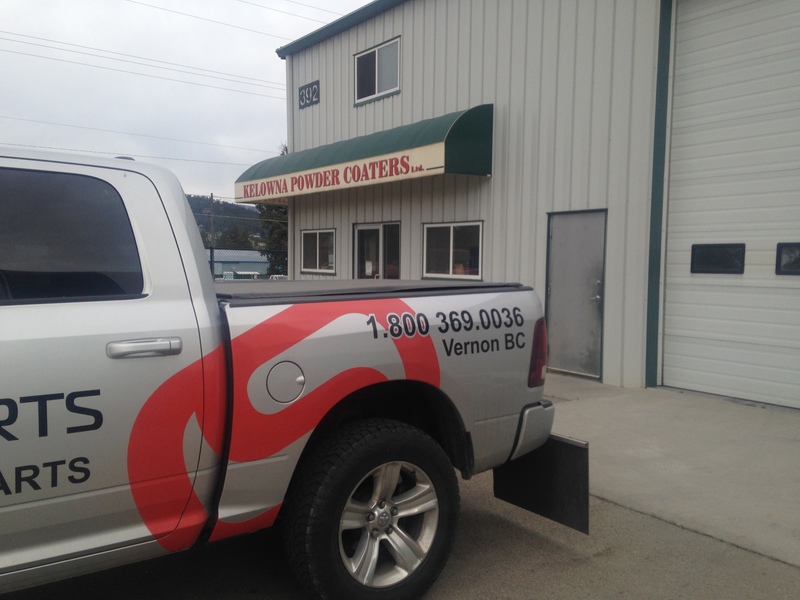 An early morning powder coating drop off and we put the pressure on them to get the tower down right away! 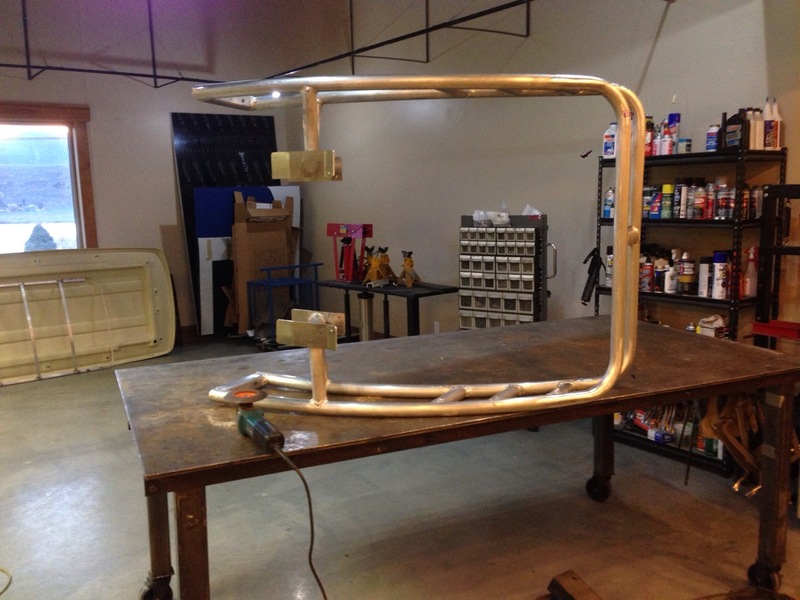 Once it was TIG welded we re installed it and then rolled a piece of aluminum tube that will become the rear grab bar. 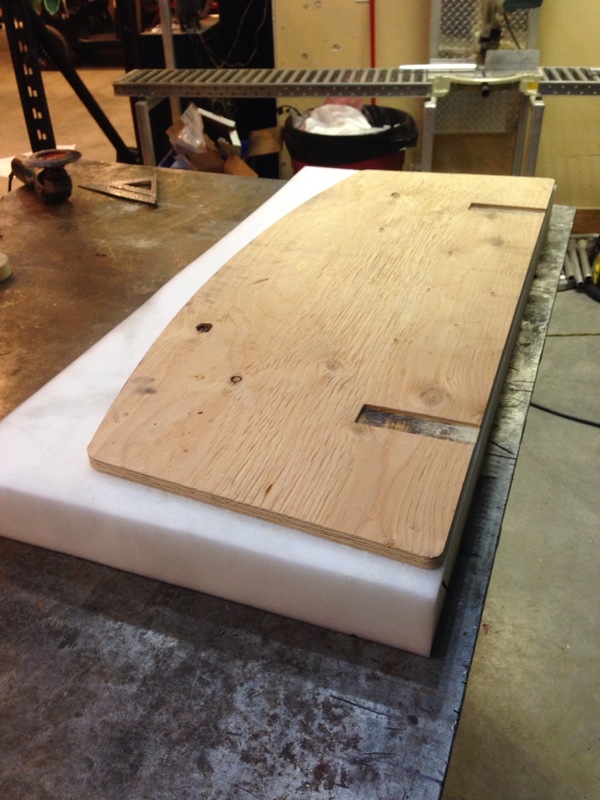 We then installed the custom CNC’d piece of wood that will soon become a plush seat cushion. It’s starting to come together, the rear grab bar looks perfect! 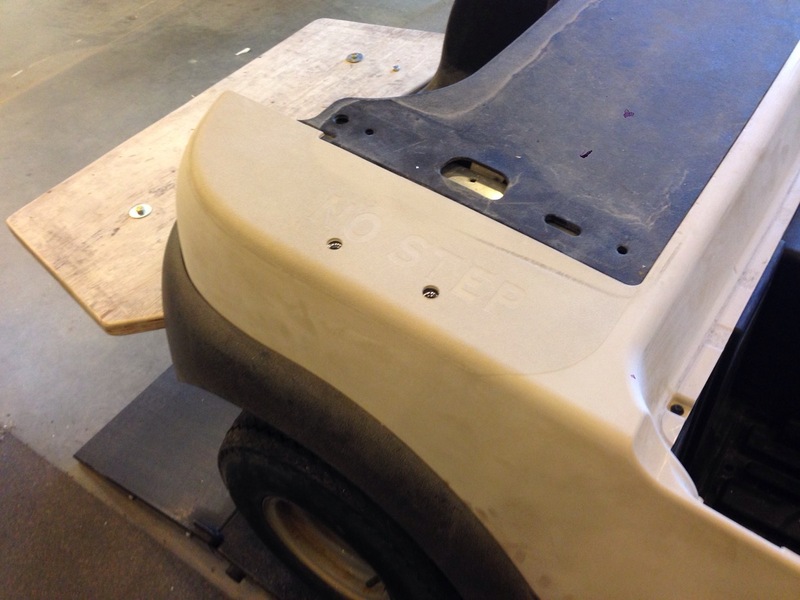 Time to bond the rear seat base to the foam! 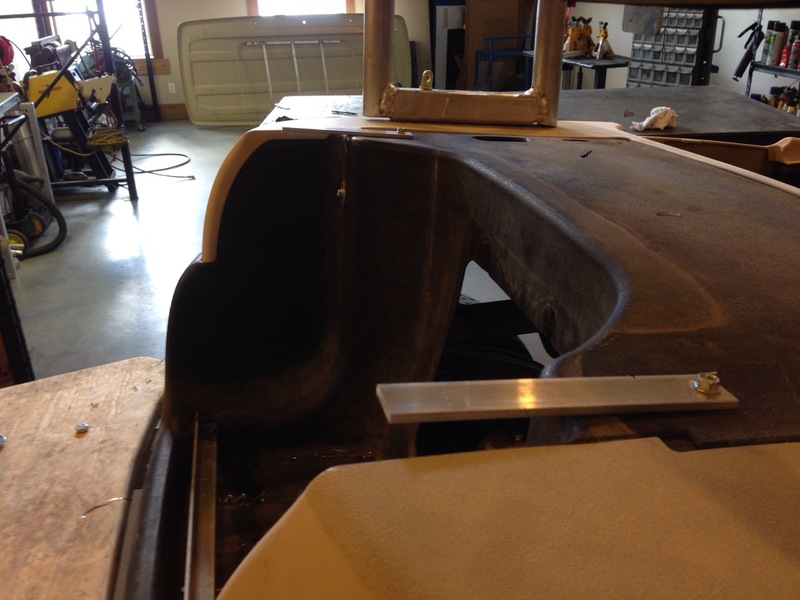 Here’s the rear seat frame all welded up and smoothed out! Looking awesome. 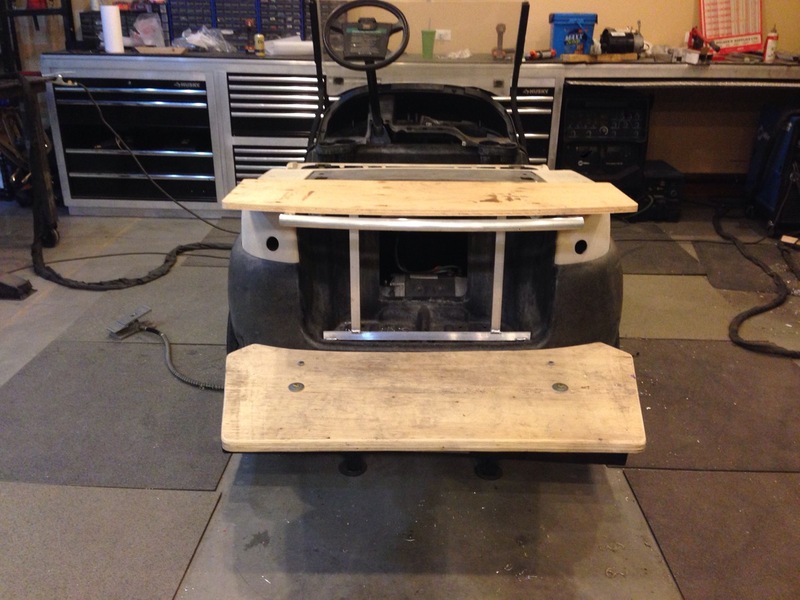 Check out our Facebook page this week as we give you sneak peaks on this build. It will be in it’s new garage Monday! I know it’s hard to believe but it’s going to happen! If you haven’t seen part 2, you can catch up here.